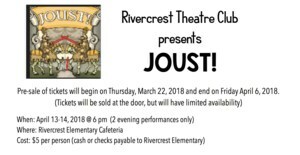 Rivercrest Theatre Club presents Joust! April 13-14 at 6:00 p.m. in the RES Cafeteria. 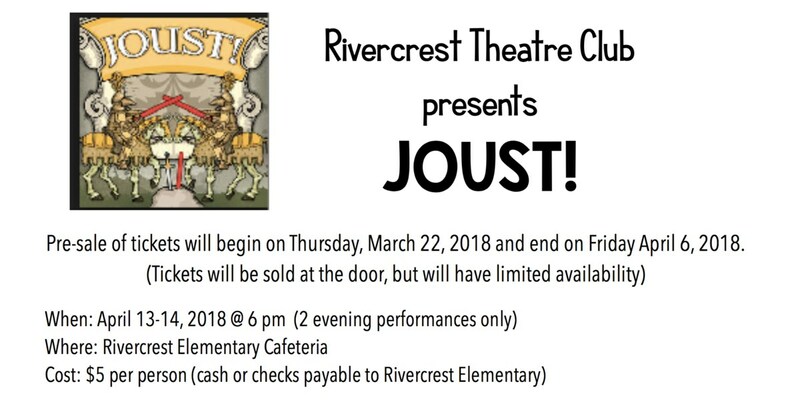 Tickets are $5.